We live in a highly computerized society (the concept of the Internet of Things) where not only are there a lot of electronic devices abound, you probably have a computer on your person right now. Think of how many people in the world have a smartphone (surprisingly, I don’t – I’m just cheap). According to Experts Exchange, the guidance systems used in the Apollo missions have only twice the computing capability of the old Nintendo Entertainment System (or Famicom for you video game hipsters out there). That’s right – with half of the RAM that NASA used to guide Apollo 11 to the moon, I’ve been using it to save the Kingdom of Hyrule. My old Sega Genesis (CPU Speed: 7.6 MHz, RAM: 72 KB) would have blown away the Apollo guidance systems. No contest. All this computerization requires a lot of resources, especially silicon to make chips. There may be a lot of it around, but we may need more due to the sheer amount of data that is generated from all computers. Here’s a nifty infographic, and this is just from the Internet in one minute. What about from office Intranets and other private networks? What about data that isn’t connected, like USB drives? Also (and if you’re born in the Nintendo generation, please brace yourself) some of our old video games are developing amnesia. Hyrule will forget the name of their greatest hero (I pretty much have, but it’s probably inappropriate anyway). And that doesn’t even include the metrics for Pokémon Go. That data can become staggering in a very short amount of time. So, what can we do? Scientists propose using genetic material. They’re serious – memory devices running on DNA rather than silicon wafers. Why? Think about it: our biology teachers (especially the better ones, and you likely remember who they are) often tell us that DNA is data that the cell reads and carries out its instructions. Without oversimplifying it, that’s pretty much what it is. We can apply that thinking to computer data as well; our human genome is pretty much the data of what we are, and it can be recorded and documented. See the featured image? 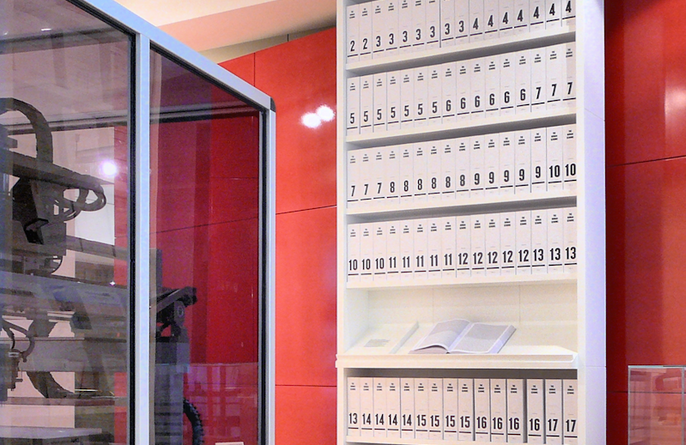 I had to crop it, but the entire human genome is recorded in those books, and depending on who you ask, it can easily fit into a flash drive. So it really is possible to work with DNA as a form of data storage. But how? There we go – one sentence, expressed as a strand of DNA. Keen, huh? Could genetic data storage be a viable alternative to silicon-based devices? There’s a lot going for it – it requires very low power and it can keep itself together for a very long time. You can store literally any kind of data that you well please. Can it be retrieved and read back into some form we can understand, like a human language? What about rewriting data? It’s easy enough to write it the first time, but what if one has to rewrite something? It’s not just a matter of ‘flipping switches’ on or off (which is what most of binary is really), but rewriting genetic data means that you are essentially telling your data to mutate. Then it gets complicated. Computer engineering may have to take on a completely different structure, including the math, logic, and programming languages that goes into putting together the programs and apps that support and irritate our ever-so-digitized lives. Before anyone gets into a snit, relax, they’re not going to upload long genetic ‘text’ into your body. After all, who knows what it can actually do to the human body? I don’t want to know what happens if someone uploads anything from the Cthulhu mythos or the works of H. R. Giger into their genome. Should you try it though, please let us know here at sci.casual. We may need to get in touch. But you and I definitely know we will also use it to our grave disadvantage. It’s human nature to hurt ourselves. Oh, let’s not be so down on humanity just yet. One has only to look at major scientific and technological innovations from the jet airplane to dynamite to atomic energy to space science to the totally intrusive internet to understand the dark side of human utilization of technological innovation. No doubt many good things have come about but the negatives may be the end of everything. At least it might spell the end for the “Mandela effect” in terms of faulty memory, and associated ludicrous belief system surrounding that conspiracy. Thanks. It was a topic that showed up on my Twitter feed, and I couldn’t pass up the opportunity to talk about it. I am well pleased to stumble upon your post. But a book I read about h a language was created long ago and your post has shown me the way/breakthrough to code from binary to quaternary…. I am so happy & fulfilled dear! There are two outstanding qualities about DNA memory. The first is that it is stable for a very long time and the second is that it takes very little space. One tiny cell contains the architecture for a very complex human being, or an oyster or a mushroom or a whale. All of human knowledge can be preserved in a very small space and if reproduced in quantity can be dispatched like cosmic dust into the universe to be decoded where ever it might find use. A speck of this implanted properly with the decoding mechanism into any human brain could be most useful. Or, like most human revolutionary technologies, could destroy or cripple civilizations. One general concept that occurs to me is the possibility of direct transference of external DNA information into an organism to mutate it creatively to make it more disease resistant or even innovate new internal organs or even external architecture such as a microscopic or telescopic eye or make one organically aware of radioactivity or incoming information from radio satellites. It could possibly supplant a cell phone or give one the sonic capabilities of a bat or dolphin. Even today yeasts are modified to produce pharmaceuticals through melding DNA from other living things but this is a rather clumsy way to accomplish internal changes. Information could be directly transmitted by photo or electromagnetic transfer which would, of course create all sorts of dangerous instabilities from stray random influences so multiple problems would have to be faced. Isn’t this where quantum computing is going? Creating the language and nano-technology at its cutting edge is looking to provide the delivery mechanics? The most complicated part of this is what kind of software and hardware architecture is going to have to be developed in order for this to be a thing. Then there’s the whole thing (oh, there’s going to be) about the ethics of genetic editing in vivo if we get that far. For now, I think the biotech landscape is still playing with the idea of using DNA as a robust, low-energy medium for long-term data storage. As for quantum computing, last I checked it’s more of an efficiency issue. I just haven’t been looking very hard at it because I couldn’t come up with any wisecracks. The language is already out there! Fascinating. Scary too…in a way. Reading this kinda reminded me of that movie…Transcendence. Thank you for sharing! Oh, it’s not so bad. Right now it’s just figuring out that we could use DNA to store information. It’s going to get weird if we start injecting it into living tissue, but that’s why scientists deal with ethics issues as well. What about speed? If a chemical reaction is needed to read and write data isn’t that a lot slower than electronic processes? If so then genetic storage could become the “hard disks” of the future, used for archiving bulk data, while SSD-type devices are used for primary storage. That’s what’s the most likely scenario. I personally wouldn’t want do all of my computing on a quaternary-based genetic computer. It’s grossly inefficient. Almost all informational bulk storage systems today deteriorate over time and lack of proper equipment to use it for informational source. DNA seems to be exceptionally durable and highly compact and might be ideal for a concept I had some time ago. As a person lives he or she spends an active life evolving and involved in many various activities. The miserably meager information on a tombstone gives even less understanding of a total life than an old telephone book and a proper permanent storage system could be quite valuable in recording a huge amount of detail of an individual for family records and even a complex bank of information for academic records for an entire civilization. An institution like an insurance company could be established to record a person’s life with annual visits by a camera crew and editorial staff to solidify a person’s life as it is lived and when the inevitable occurs the entire life with videos and sound and all sorts of historically worthy current events compounded into a totality that could be stored in an elaboration of the standard cemetery so that family and researchers could not only view a person’s life but perhaps even converse with a dynamic reproduction of the person’s character to get a feel for an era and the quality of an individual and his or her associates. It could become a valuable business operation requiring skilled professionals and if it became general with accepted routines it would be affordable for the average person. In effect it would the democratic equivalent of the old Egyptian tombs of kings but could encapsulate in wonderful detail an entire human culture for future reference. Pingback: The genetic computer | Sarah Sobieski - M.A. This item indicates the growth of computer tech to invade the brain. https://science.slashdot.org/story/16/08/17/0331251/startup-aims-to-commercialize-a-brain-implant-to-improve-memory When DNA moves into that area it seems likely it will be utilized. Interesting but I wonder how the world will looks like, when this becomes reality. Somehow, with the help of a strong and heavy stave, I got to the end of that. It is a LOOONG time since I have read heavy things like Science! Haha! But, my Dear Dermott, I ‘AM’ in a snit. Just HOW do You know ‘they’re not going to upload long genetic ‘text’ into your body?’ Eh? Any guarantees? I want a written one, please. Yeah, ‘Who knows what it can actually do to the human body?’ First of all, let me clarify, I don’t. Honest. But Worse is yet to come. With the kind of Mad politicos, Scientists and military generals that We have, Do We Really think any of them Care What that could do the Ordinary Citizen’s body-phody? Ha. Good write-up, my Dear Dermott! Regards. Well written and what a fantastic concept to look into. Both frightening and interesting at the same time! Things that make you go hmmmmmmm. Okay, I get it, but my burning question is how? How will the DNA work without an organism? Will a germ be created that allows the substance to live on the outside of the body? It’s the body that tells DNA what to do, so again, hmmmmmmm. I do not doubt scientific technology has developed a way for this happen. Look at stem cells and how miraculous they are. Besides creating a real, honest to goodness Cylon, to carry this DNA, I can’t seem to make it work in my head and I want to. I don’t really think it’s the best idea, however, being a big fan of science, I’m wholly curious. The only way I can think this would work is that some how the connection from computer to DNA is through electrons. We have them and electrons are part of what stuff is made of…so, hmmmmmm. Ha! Sweet. Thanks for explaining. Hopefully research and development funding doesn’t get cut before then. Although the USA is and has been the center of main technological developments in the world other nations such as China and India and many European centers are moving up in basic scientific and technological innovation. There are already complaints in the digital industries in the USA that there is a lack of competent people locally and a need to use immigrants to fill the gap. Something has to give here or the USA will have real difficulties. The Chinese have just launched a quantum satellite to guarantee security in communications which places it in the forefront of that area. It is a signal that cutting edge research cannot be neglected. An article at https://www.sciencedaily.com/releases/2016/08/160818150004.htm indicates progress in modifying human DNA within a living human to act as a memory store in an elementary manner to record events of body functions that can be retrieved. This looks like a first step to melding nature with technology in the way noted in this site. This was a great article! One question though. Why are there so many assumptions that we would use human DNA for this? That would be crazy stupid. Obviously, this would start with microbial DNA. One additional point to make is that although slower, this type of computing can do something like 60 procedures at once, unlike any computer processor to date. Therefore, you would never use this for basic computing. You might use this for supercomputing though. There’s really no such thing as ‘human’ DNA and ‘microbial’ DNA. DNA is simply chemical compounds. However, there are human and microbial *genomes*, which are specific sequences of DNA that separate organisms at the genetic level. For example, when Microsoft encoded the music video to OK GO’s “This Too Shall Pass”, that DNA wasn’t particularly ‘human’ or ‘microbial’ – it was just a sequence of chemicals (DNA) that could (this is just my guess – not a lot of details in the news as to how they did it when I started looking) be translated via into binary, which could then be translated again into audio and video signals. Good point! DNA is just amino acids. I was referring to where that DNA would be stored. Doesn’t the DNA need something like a a virus or spores to keep it stable? To place this DNA in directly into humans would be grossly irresponsible. For another clarification, RNA would do the actual “writing” / creation of the data into DNA, right? Excellent post and definitely food for thought, in fact I can invision waking up one morning and my first thought being…”good morning Dave”! Unless it misreads your DNA, then you’re Eric. Fascinating idea. And you used “keen”. Ha! DNA is just another form of data, it’s just a matter of how could we use it to store other kinds of data other than genetic ‘instructions’? Pretty much. At our current level of tech, base-4 genetic information at least offers a stable, long-term storage solution. I wouldn’t want to use it for daily read-write computing.